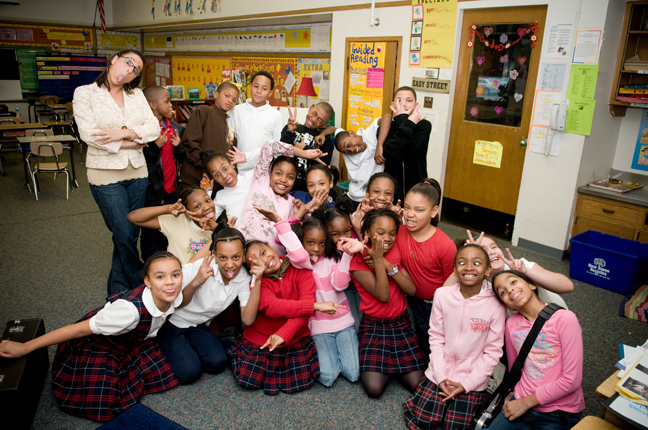 I got a chance to visit Deana's 4th graders the other day at Davis Street School in New Haven, and take a few pics. They started a "go green" initiative and put together a pretty cool bulletin board. They entered into a contest that helps save the rain forest. The goal is to read 100 book by Earth Day and Scholastic donates money for the class. 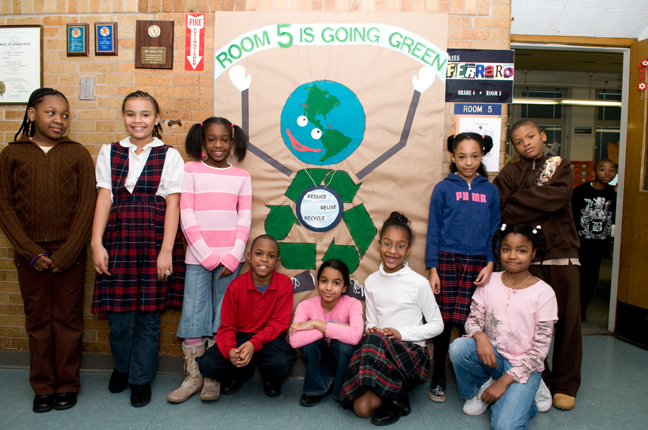 Here is a pic of some students in front of the go green board. And then a pic of the kids getting a little silly.